Pendulum is an event played in several incarnations of the television series Gladiators. In this event, a contender and Gladiator engage in a cat and mouse game on a giant hanging ball, covered in a cargo net which swings across the arena floor. The contender must evade capture from the Gladiator.One Gladiator faces one contender, and on the whistle engage in a 60 second cat and mouse game. The Gladiator must locate the contender, removing the flag from their back in order to win and end the event. 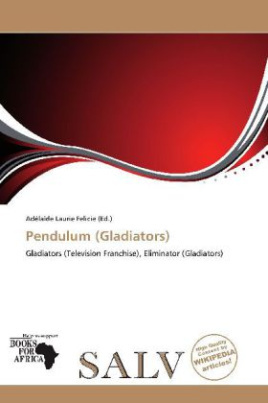 If the contender manages to successfully evade the Gladiator for 60 seconds then they receive 10 points. Below the Pendulum is a safety net to catch falling participants.